Ticket to Ride, See Pictures and WBMC are delighted to announce principal photography commences today, Monday August 24th, 2015, on Ben C. Lucas’s science fiction thriller, OtherLife. 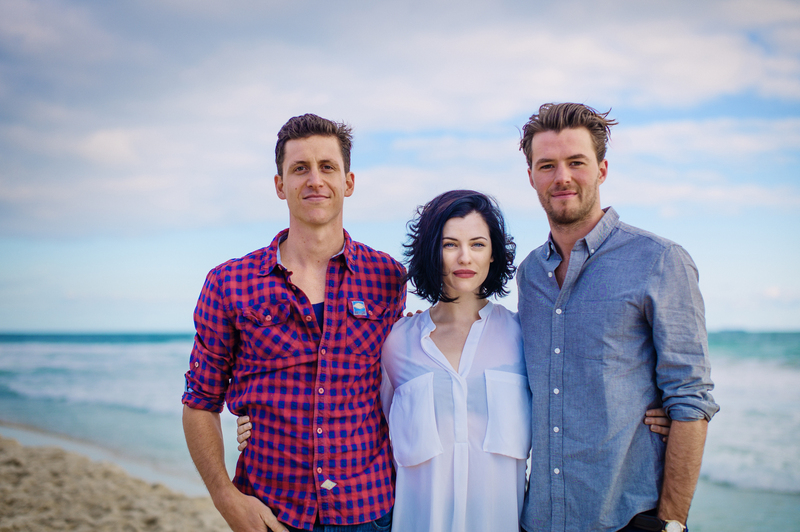 With support from Deluxe Australia, ScreenWest and Lotterywest, the five-week shoot will take place in Western Australia starring an exciting young cast including Jessica De Gouw, Thomas Cocquerel, and T.J Power. Entertainment One will release in Australia and New Zealand. This is the second feature for Lucas, whose critically acclaimed debut, Wasted on the Young, was acquired by Paramount in Australia and nominated for an AACTA Award after a successful festival circuit including Sydney Film Festival, Toronto International Film Festival, Pusan International Film Festival, South By Southwest Film Festival, and Torino Film Festival. OtherLife is based on the popular novel, Solitaire, by Kelley Eskridge. The screenplay has been adapted and written by Eskridge along with Gregory Widen (Highlander, Backdraft), Lucas Howe and Lucas. The film follows brilliant software engineer, Ren Amari (De Gouw) who, haunted by the accident that has left her brother in a coma, creates OtherLife: a substance that allows users to experience hours of new memories in seconds. However Ren’s business partner, Sam Murphy (Power), has other grand designs for the future of this technology. Australian actress De Gouw, who led NBC’s Dracula opposite Jonathan Rhys Meyers and CW’s Arrow, has returned to her hometown Perth for the lead role of Ren Amari. Her recent Australian credits include Foxtel’s Deadline Gallipoli (Sam Worthington, Hugh Dancy), Cut Snake (Sullivan Stapleton, Alex Russell), and These Final Hours (Sarah Snook, Nathan Phillips). Rising star Cocquerel will play alongside De Gouw as her love interest, Danny. Cocquerel’s credits include Kidnapping Mr. Heineken (starring Ryan Kwanten, Sir Anthony Hopkins, and Sam Worthington), Table 19 (Directed by Jay Duplass and Mark Duplass), and Blue Dog, the 2016 sequel to acclaimed Red Dog. T.J Power also joins the production as Amari’s business partner and the film’s antagonist, Sam Murphy. Power has previously worked with Lucas on Wasted on the Young; other credits include Eat, Pray Love (Julia Roberts), the highly successful The Sapphires (Wayne Blair, Chris O’Dowd), Josh Lawson’s The Little Death, and cult TV series Underbelly. OtherLife will be produced by Jamie Hilton, Michael Pontin, Janelle Landers, Aidan O’Bryan, Marco Mehlitz, Tommaso Fiacchino, and Bo Hyde. Executive producers include Phil Hunt, Compton Ross, Kendal Morgan Rhodes, Josh Pomeranz, Viv Scanu, and Stephen Boyle. Shooting will wrap on September 25th. Post- production will be completed in Sydney through DDP Studios, VFX by Method Studios and Toby and Pete.